Buying a bed is not a decision to be rushed. You do your research first, read various reviews and take notes on what features you can and cannot live without. And then there’s the testing stage – lying on different beds trying to decide which one you like best. When you put this much effort into such a purchase, you know you’ll walk away with a mattress you’ll enjoy for years to come. But what about your bedframe? A bedframe might not be as important as a mattress, but it can make a big difference in appearance. This might not seem important, but having a bedroom that’s visually appealing is important and can help create feelings of peace and calm, so it should be as restful as possible. The first and most important factor when choosing a bedframe is the size of your bedroom, which will also determine your mattress size. You should be able to move around the bed and open and close closet doors easily without bumping into anything. If you struggle to do this, your bed is too big for the room – and it probably won’t able to accommodate a bedframe either. The second factor to consider is how much space you need. A bedframe that offers built-in storage or space for storage items can come in handy if you have a small bedroom with limited cupboard space. If space and storage aren’t major concerns, then you’ll need to consider height, and how far above the ground you’re willing to be. And if you have mobility issues, a higher bed will be easier to get in and out of. If you want height and additional firmness; a solid platform bed will offer you both. Of course, you might find that you need neither, but you should bear in mind that placing your mattress directly on the floor could increase its wear and tear. 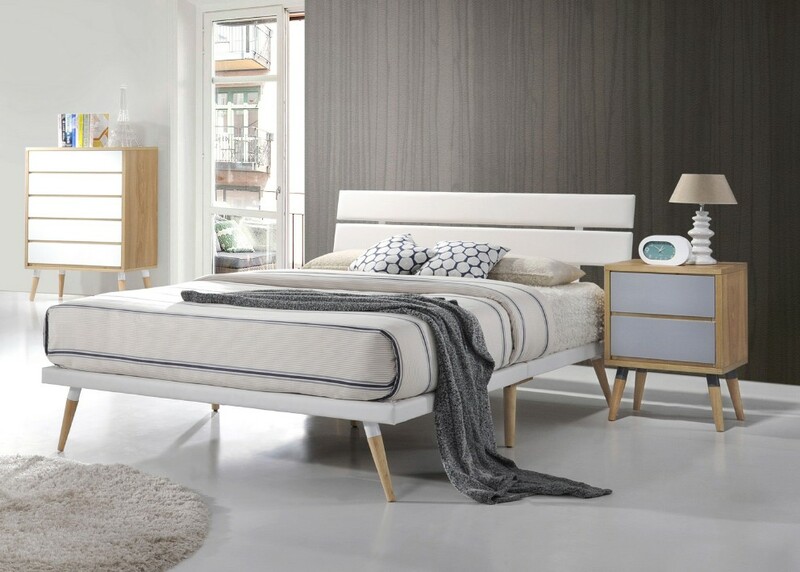 If you’re still struggling to decide on the best bedframe for your needs, you might be better off visiting a furniture store and asking a knowledgeable consultant for advice. They should be able to point you in the right direction and could offer you bedframe options you didn’t even know existed!